In Part 1 of this series, I talked about how my journey with sensory processing began when I discovered that my youngest daughter had some sensory differences that were making it hard for her to learn some school readiness skills. I also talked about the three main sensory preferences, and the realization that we ALL have a sensory preference. Being aware of my own and my older daughter's, along with my younger daughter's, and how they color our perceptions has been a game changer. Today I'm going to talk about the major sensory systems and what you need to know about them. Most of us learned about the five senses when we were little. Occupational therapists like to talk about seven senses. 1. Vision. Just like they taught you in kindergarten, this is the way your brain perceives visual input. People who are avoidant in this area tend to be bothered by bright lights, crowds, and movement. This could by why your child always has a meltdown in Target. People who are seekers in this area tend to crave these things. It's also important to be aware that low registration in this area can make it hard for kids (and adults) to notice some visual things, which can make reading and writing difficult. 2. Sound. If you avoid sound (like me!! ), you may find yourself wanting to wear earphones in public places. My daughter seeks sound, so she's always talking or humming. Kids who have low registration for sound are often accused of not paying attention when really it's just that they have a hard time distinguishing the speaker's words from background noise. 3. Touch. My seeker daughter touches EVERYTHING. We took her furniture shopping once, and i nearly had a heart attack watching her feel all the sofas until she found a swatch book and was in heaven. The first time I ever heard of sensory issues was with kids with touch avoidance. These kids hate being messy; it actually seems to cause them pain. They may also be bothered by tags and seams on clothing, and they are often picky eaters. 4 and 5. Taste and smell. People can definitely seek and avoid these two senses too, but it isn't as common as the other 3. And now for the two senses you might not have heard of. 6. Proprioception is the sensation of your body's position in space. The input for this comes primarily from your muscles and joints. We feel proprioception as deep pressure, which can come in the form of pressure from the ground when you run and jump, from a bar when you hang, or from compression clothing or heavy weights. To simplify this a little, it is pretty rare for someone to avoid proprioceptive input. It's calming and organizing to the brain for almost everyone. This is why you see weighted blankets now marketed as stress reducers. Kids who are proprioceptive seekers will crash into things constantly. Kids who have low registration in proprioception will fall down a lot or seek extra input by leaning on walls when they walk. I live on this list of Proprioceptive Activities from Alisha at Your Kids Table. I think these activities are helpful for almost everyone but especially if you have a kid who has high needs in this area. 7. Vestibular is the sense of your body moving. This is the feeling you get on a roller coaster or when you're spinning. Some kids HATE the feeling of motion when they're swinging or riding a bike fast and other kids could swing or spin all day. Finding ways to proactively meet these needs for motion before you expect your kids to sit still for any period of time can be a life saver. Repeated disclaimer: I am not a doctor or an occupational therapist, I've just read lots of great stuff from people who are and wanted to share what I've learned. If your kids are struggling, get them evaluated. Help is always good. I mentioned in a previous post that my younger daughter has been going to occupational therapy, and that has been part of what led us to overwhelm. To get a little more specific, she had some fine motor delays which the therapists thought were related to sensory issues. A friend of mine who is an OT came to the house to informally observe and play with Charlotte as a favor to me, and she was the first person to suggest sensory as an issue. Now, I'm not an occupational therapist, but I am a crazy Internet researcher and reader and so I decided to dig deep, and suddenly so many things made more sense. This is why she walks into walls, hangs upside down, hums to herself when she walks. Everything fell into place. I want to be really clear here, sensory processing issues are not an officially diagnosable condition, and to be honest, I'm not sure I would say my little girl has a disorder. But she does have some preferences that make some things harder for her and needs that we need to find ways to meet if we want her to be successful. But guess what? So do we all. Sensory avoiding - We get stressed out by a lot of input, either sound, light, pressure, or touch. My little girl doesn't have this preference, but I sure do, and it very clearly explains why I need quiet where I am not being touched every day. For people who have this to a more extreme degree, or kids who haven't found ways of coping, this can start to cause trouble with functioning if it makes us avoid situations. These are the kids who cry when there are noises, who melt down in public places because they just seem overwhelmed, who find the bright lights of the mall terrifying. Sensory seeking - Seekers need a lot of input, and they get it however they can. My little girl says she hums because walking is boring, but what it really is is that she feels understimulated and so she finds ways to meet her needs for sounds. These are kids who like to crash into things, who hang upside down or spin, who make noises. Some adults with seeking preferences NEED to run 5 miles every morning or else they feel crummy all day. This is an example of finding an adaptive way to meet your needs, and it's what we want to teach our seeking kids. Sensory low-registration - This is a smaller category of people, but it's actually also one my little girl fits into. People with low registration tend to miss input. Just like seekers, they have what Alisha from Your Kid's Table calls a "big cup" for sensory input. They have a high threshhold. But instead of trying to fill the cup through constant motion or stimulation, people who primarily fit in the low registration category just don't register the input that they're getting. They often seem tired or even lazy, they miss instructions given verbally, and - like my sweet girl - they fall down a lot or hold onto walls because they are missing the input from their bodies that help them stay vertical. Okay, friends, this was a lot, and you're probably starting to see yourself and your kids in these categories. Remember, we ALL have sensory preferences, and it's only a problem if it's interfering with functioning. DISCLAIMER: Again, I'm not an occupational therapy, just a crazy mama researcher. It's worth it to see someone who is an actual professional. I'm always a big advocate of getting help. My 2nd grader accelerates in math and she does a program through her school called Aleks which allows her to self pace her instruction. I can't recommend it enough, and because we're so happy with it, I haven't really been doing anything extra in that area anymore. We do still do puzzles and critical thinking games, my favorites are 24 and Set. The great thing is that these don't feel like work to her, they feel like playing and bonding with mom and dad, while still working on both her math skills and a lot of the emotional intelligence/flexible thinking skills she needs too. We've been working our way through this amazing list of Picture books for October from Sarah at Read Aloud Revival, and I can't say enough good things about Sophie's squash. It's a beautiful book about impermanence and regrowth and the perfect book for fall. For our evening read alouds, the girls and I are working our way through Harry Potter 4. Sigh. I tried to wait because this is when it gets dark, but I can't blame them for loving it so much. My eight year old is DEVOURING the entire Frog Princess series, and everything else she can find by E.D. Baker. And me? Ever the YA fan, I'm adoring Storm Runner by Jennifer Cervantes, the second book published on the new Rick Riordan imprint at Disney. These books tell stories from amazing writers of color about their own culture's mythologies, and they are AMAZING. Definitely more on this later. I hope you're well! What have you been reading? My friend Jenny from Tranquila Mama asked me to make a unit study for her budding ballerinas. My little ones love ballet too (even though they've never taken a class), so I thought it would be a great thing to study. There's also a good history of ballet here on the Encyclopedia Britannica page. Another great place to start is the Classics for kids show on ballet which focuses on Tchaikovsky. 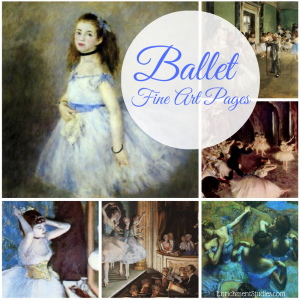 This book has the stories of a lot of popular ballets and is a great introduction. This nonfiction reader shows what it is like to be a ballerina working for a big company. Music in our Homeschool has a neat 15 minute music lesson on Aaron Copeland with links to videos of some of his songs. There's also a Classic for Kids podcast on Aaron Copeland's Cowboy ballets. Particularly interested in the Nutcracker? Try these Montessori themed Nutcracker printables. Listen to the story of A Christmas Nutcracker from Story Nory (also available on itunes and Google Play Music). Listen to the show on Classics for Kids on the Nutcracker. It's that time of year again where minds go to one thing: pumpkins. Give me a minute to finish my latte. Okay! Anyway, there are so many good books, videos, and printables about pumpkins that I almost don't know where to start. Okay, I'll start with Spookley. 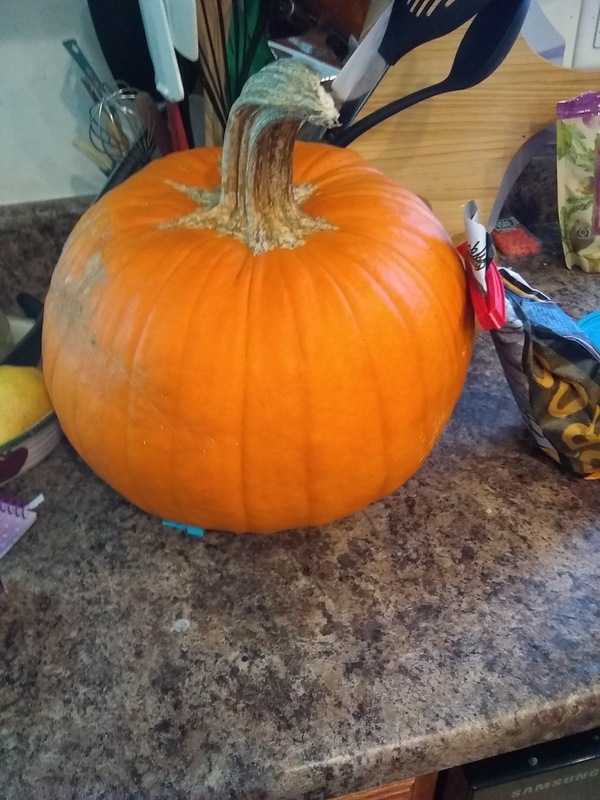 I love Spookley the square pumpkin. It's a book about being different and being accepted for just who you are, so of course I adore it. Five little pumpkins is a classic rhyme and one of our favorites. This little board book is lovely, but make sure you also learn the ginger play for which there were So many developmental benefits. Becky from This Reading Mama, who is one of my favorites, had two great freebies: a Pumpkin poetry pack and a Pumpkin literacy activity pack which includes nonfiction reading, comprehension, and vocabulary activities. I found two amazing resources for hands on math activities using pumpkins. Math cats and Math wire. Did you think I forgot science? Check out this great Pumpkin life cycle packet. This unit is another one on request, this time on the nation of Cuba. I didn't know a lot about Cuba before I started this, so it was really cool to learn. This 8 minute video from the Geography Now channel on Youtube gives a good overview and background presented in a fun way. For a good, complete description, I recommend the National Geographic Kids page on Cuba, which includes the flag, statistics, and great images. For a more thorough look at Cuba's full history, the site History of Cuba has great timelines and articles about various periods in history. Since I love incorporating the arts, I thought this great video on Cuban music from All Around this World music was a great addition. A few nights ago, my first grader was drawing a picture of the coral reef and she looked up at me and said "Hey, mom, can we do one of your learning things on the ocean? So I set right to work putting together stuff about the ocean, and man I have been having so much fun and learning a lot! Ms. Frizzle is my favorite. In this book, she takes the kids to the ocean floor and they learn about all kinds of life there. This is a basic counting book, but it also has lots of beautiful illustrations of life in the coral reef. This is a nice book that has lots of great content about the ocean. Like with most nonfiction books, my girls got bored pretty quickly and just flipped through picking out what was interesting to them - but I think that's okay! Crash Course Kids is one of my favoritest youtube channels for learning about science. This video has basic information about the different ocean zones, and there are plenty of other videos in their channel about oceans and their challenges. National Geographic has an entire Ocean portal with links to lots of cool videos, photos, and articles where you and your kids can dig deeper into any area of ocean life you want. And I absolutely recommend you take a second with your kids every day that they care to and click on the Rescue Ocean Wildlife click to give page through Care2. And as a quick bonus, because you know how I love the arts, Handel's water music. I'm a coupon clipping, literature loving, sleep deprived mommy to a beautiful baby girl searching for happiness and a simpler life. Check out my resources on TPT! Great free fine arts resources!